Dr. Jeffery Bricker, Senior Director of Research at Honeywell UOP is the recipient of the 2017 Eugene J. Houdry Award of the North American Catalysis Society. The Eugene J. Houdry Award in Applied Catalysis is sponsored by Clariant. It is administered by The Catalysis Society and awarded biennially in odd-numbered years. This award recognizes and encourages individual contributions in the field of catalysis with emphasis on the development of new and improved catalysts and processes representing outstanding advances in their useful application. The award consists of a plaque and a prize of $5,000, which will be presented at the 25th North American Meeting of the Catalysis Society to be held in Denver, CO, June 4-9, 2017. The Award Plenary lecture will also be presented during this meeting. 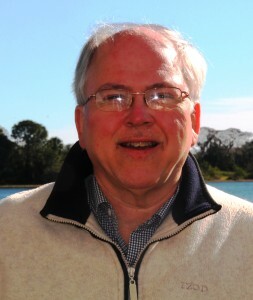 Dr. Bricker’s achievements include the discovery of key reaction mechanisms in thiol oxidation chemistry in refinery fuels, leading to the commercialization of an oxidation catalyst that functions in the absence of caustic. He also invented new light paraffin dehydrogenation catalysts with superior diffusional properties, that is currently used in more than 60 percent of worldwide on-demand capacity. He invented and developed a very selective and stable catalyst for the oxidation of hydrogen for inter-stage reheating in ethylbenzene dehydrogenation for commercial styrene production. Finally, Dr. Bricker and his team used diffusion control to improve the dehydrogenation technology for production of linear alkyl benzenes (LAB), which are the precursors for biodegradable detergents. LAB is produced by selective dehydrogenation of linear C10 to C15 alkanes into linear mono-alkenes followed by alkylation with benzene. This new catalyst technology reduces by-product heavy alkylate by 20 percent and is used to produce more than 80 percent of the world’s LAB. 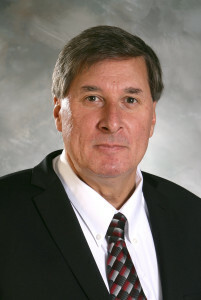 Bricker received a Bachelor of Science in Mathematics and Chemistry from Heidelberg University in 1979 and a Ph.D. in Chemistry from The Ohio State University in 1983. 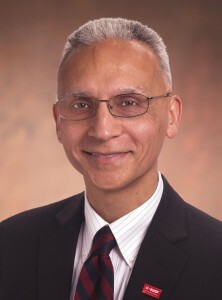 Jeff’s innovations and 61 US patents have been recognized with several awards including the 2011 ACS National Award for Creative Invention; the UOP Stine Star Award, given for the best breakthrough of the year; Specialty Materials Growth and Innovation Award and the 2015 Honeywell Distinguished Technologist Award, given for outstanding technical contributions over the course of a career. He frequently lectures on catalysis globally and was the 2008 Devon W. Meek Lecturer. Published on October 15, 2016 . Posted in Award, News. Professor Khi-Rui Tsai, a prominent professor of Xiamen University and a member of Chinese Academy of Sciences, passed away peacefully on October 3rd 2016 in Xiamen at his age of 104. Professor Tsai is a famous physical chemist and catalysis scientist. He is a pioneer of coordination catalysis and molecular catalysis in China. In 1960s, he developed theoretical concepts of catalysis by coordination activation, and applied the principles of coordination catalysis to correlate several types of homogeneous catalysis, heterogeneous catalysis and metallo-enzyme catalysis systems. In 1970s, he and Prof. Jia-Xi Lu proposed independently, from different approaches, essentially similar cluster-structural models of Mo-nitrogenase active centers and multi-nuclear coordination activation of various types of known substrates of nitrogenase. Professor Tsai led a team at Xiamen University with an aim to bridge the gap between enzyme catalysis and heterogeneous catalysis since 1970s. He and his co-workers systematically carried out comparative studies on the models of active centers and reaction mechanisms for nitrogenase enzymes and for heterogeneous ammonia-synthesis catalysts. The team also studied the effects of ionic promoters in N2 hydrogenation to ammonia and CO hydrogenation to methanol and ethanol. Professor Tsai proposed a unique mechanism for the direct conversion of syngas to ethanol. Up to 1997, Professor Tsai published more than 200 research articles. He got three times the State Natural Science Award owing to his outstanding contribution to catalysis science. In 1999, he was awarded the He-Liang-He-Li Foundation Award for Progress in Science and Technology. In addition to the scientific activity, Professor Tsai also served as a member of the 3rd national committee of the Chinese People’s Political Consultative Conference, the deputy to the 3rd, 4th and 5th National People’s Congress and a member of the Academic Degree Commission of the State Council. He was the vice president of Xiamen University and the director of the Scientific Academic Committee of Xiamen University. Professor Tsai also served as a council member of International Association of Catalysis Societies (IACS). Professor Tsai is also a big educator. He was a remarkable ambassador for Xiamen University and a shining example of what all educators should aspire to be. He imbued his students with firm ideals and beliefs, provided them with a strong moral compass, guided them using his incredible wealth of knowledge, and treated them all with benevolence. Professor Tsai’s passing is a massive loss not only to Xiamen University but also to the catalysis community in China. 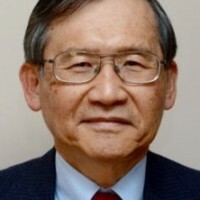 Professor Tsai will be greatly missed by his family, friends, colleagues, students and those who work in catalysis field. Published on October 10, 2016 . Posted in Memoriam, News. Published on September 18, 2016 . Posted in Memoriam, News. I am pleased to announce that Professor Gary L. Haller has been selected as the recipient of the 2016 NACS Award for Distinguished Service in the Advancement of Catalysis. The Award is presented every two years to recognize an individual who has advanced catalytic chemistry or engineering through both significant service to the catalysis community and outstanding technical accomplishments. This award includes an honorarium ($5,000) and a plaque. It is awarded by the North American Catalysis Society and sponsored by ExxonMobil and Clariant and will be presented to Professor Haller during the 2017 NAM in Denver. This award acknowledges Professor Haller’s commitment to the catalysis community and his selfless dedication to the advancement of the field. He has served as a teacher and researcher, as a caring mentor of students and younger faculty, and as a warmly regarded academic leader. Gary Haller has served the community in many key leadership positions throughout his career. His roles as Editor of the Journal of Catalysis and as General Chairman of the 11th International Congress on Catalysis brought vision, effective planning, and sensitivity to the many constituencies served and left a lasting impact and an enduring example of service in our community. He served as President and Vice-President of The Catalysis Society, as well as a member of its Board of Directors. He has been a member of the board of editors and editorial boards for American Scientist, Catalysis Reviews, Journal of Catalysis, Catalysis Letters, Reaction Kinetics and Catalysis Letters, and Journal of Molecular Catalysis A: Chemical. He has been the Chair of the Gordon Research Conference on Catalysis and of the Division of Colloid and Surface Chemistry of the American Chemical Society. In these roles, through his vision and example, he has served as a role model for those who followed him in such roles. His technical accomplishments and those of his academic progeny have been widely recognized for bringing new understanding about how supports influence the reactivity of dispersed metal particles and how structure affects the behavior of acid sites in oxides. 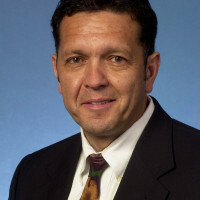 His work has advanced, conceptually and practically, our understanding of the catalytic properties of carbon nanotubes. He has been a pioneer in harnessing the power of spectroscopic methods for the benefit of catalytic understanding. For these contributions he has been recognized with the Burwell Lectureship (Catalysis Society) Netherlands Institute for Catalysis Research Lectureship, the Lacey Lectureship (Caltech), the Ipatieff Professorship (Northwestern), the Harry Fair Lectureship (Oklahoma), the Yale Science and Engineering Association Award for Meritorious Service, the Catalysis Society of Metropolitan New York Award for Excellence in Catalysis, the George C. A. Schuit Lectureship (Delaware). On behalf of our members, we convey warm congratulations to Professor Gary Haller along with our gratitude for his contributions and for his example. Published on September 9, 2016 . Posted in Award, News. The 2016 Eni Award prizes will be presented on 20 October during an official ceremony at the Palazzo del Quirinale in Rome. The New Frontiers in Hydrocarbons – Downstream prize has ben awarded to Professor Johannes Lercher, from the Technical University-Munich, for his research project Novel catalytic strategies to Alkenes and Alkanols. The Environmental Protection Prize has been awarded to Professor David Milstein, from the Weizmann Institute of Science-Israel, for the research project Novel, Environmentally Friendly, Efficient Catalytic Reactions to Replace Polluting Processes. Published on September 3, 2016 . Posted in News. Faculty members in their first four years of appointment to ladder-rank positions and currently active in catalysis research at U.S. institutions. Postdoctoral and graduate student presenting oral or poster contributions at the 16th ICC. Invited chairs of session at the 16th ICC meeting. Other applicants, as funds permit. Applications should be submitted to Professor Jingguang Chen (NACS Director-at-Large, and coordinator of this grant program) no later than May 15, 2016 in electronic form (jgchen@columbia.edu). This application should be no longer than one page and include your qualifications in the context of items 1-3 listed above. Your accepted presentation in the 16th ICC (title, session, and oral or poster venue. Include acceptance letter as a second page). Sessions that you are chairing (include invitation to chair as a second page). Any other data that the selection panel should consider. The selection committee will be proactive in encouraging diversity in support of attendees to the 16th ICC meeting. The panel decision will be communicated to all applicants no later than May 25, 2016 via email. Original receipts will be required for reimbursement and travel must be booked via U.S. carriers. Published on April 11, 2016 . Posted in News. 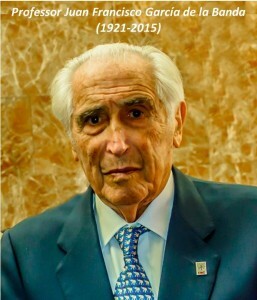 Juan Francisco García de la Banda was born in Madrid (Spain) in 1921. He studied Chemistry and Mathematics in the Universities of Valladolid, Oviedo and Madrid, completing his Bachelor Degree in 1943. In 1948 he presented his PhD dissertation (“Relation between calorific conductivity and vapor pressure of high boiling point substances”) supervised by Professors Foz-Gazulla and Colomina and carried out at the Instituto de Química Física “Rocasolano” (IQFR) of the Spanish Council for Scientific Research (CSIC). He studied in Bristol between 1951 and 1952 with Professor William E. Garner with Dr. Dennis A. Dowden at the Catalysis Group at ICI. Afterwards, he returned to Spain, within the framework of the IQFR and founded the “Laboratory on Catalysis”, which became the birthplace of the Instituto de Catálisis y Petroleoquímica (ICP) in 1975. He was the first Director of the ICP and the individual most responsible for enhancing the scope and quality of research in catalysis and biocatalysis in Spain. He participated in the First International Conference on Catalysis (ICC) held in Philadelphia in 1956 and maintained personal and professional links with many U.S. catalysis researchers, especially through his personal friendship with Dr. Heinz Heinemann throughout their careers. He proposed and organized the 1st Iberoamerican Symposium on Catalysis, held in Madrid in 1968, the first in a series that will celebrate its 25th edition this year in Montevideo. Professor Garcia de la Banda served in several influential positions within the research and development and scientific structure at the highest levels in the government of Spain. He is without doubt the most influential and impactful promoter of catalysis research in Spain in the 20th century and the key individual in the formative years of the catalysis community in Spain. His presence and his sage advice will be missed. Published on February 17, 2016 . Posted in Memoriam, News. It is with great pleasure to announce that Dr. Kerry Dooley, the BASF Professor of Chemical Engineering at LSU, has been selected as the recipient of the 2016 SWCS Award for Excellence in Applied Catalysis. “As an educator, instructor, research and thesis mentor / administrator, Kerry has been a part of the development and progression of the LSU department of Chemical Engineering since 1983. Kerry is well known in the field of synthesis & characterization of selective zeolite/metal dehydrogenation catalysts & catalytic applications of these materials, including carbonylations, alkane & amine dehydrogenations & homologations. He has over 100 publications, patents and presentations. Kerry has an interesting body of work in catalytic oxidation, that includes direct oxidation of methane to methanol, and most notably his research on combined supercritical fluid extraction (SCFE) of priority pollutants from contaminated soils, with catalytic oxidation of the extract. He has related contributions in the field of high-pressure processing & extraction. Kerry’s service to the SWCS and the catalysis community has been exceptional; he has held every office in the SWCS and was also President of the 2007 NAM”. Kerry will receive the award, which includes a plaque and a $1500 check, at the upcoming SWCS symposium on Friday, April 22. Please join me in congratulating Prof. Kerry Dooley for this award! Published on February 15, 2016 . Posted in Award, News. Teh C. Ho (ExxonMobil, ret.) and José Santiesteban (ExxonMobil) have been elected to the National Academy of Engineering. Teh C. Ho: For contributions to catalytic removal of sulfur and nitrogen compounds from hydrocarbon fuels. José G. Santiesteban: For development and commercialization of catalytic systems for petrochemical manufacture and cleaner fuels production. Published on February 14, 2016 . Posted in News. I am pleased to announce that Dr. Ahmad Moini of BASF is the recipient of the 2016 F.G. Ciapetta Lectureship in Catalysis, sponsored by W.R. Grace & Co. and the North American Catalysis Society. The Award consists of a plaque and an honorarium. 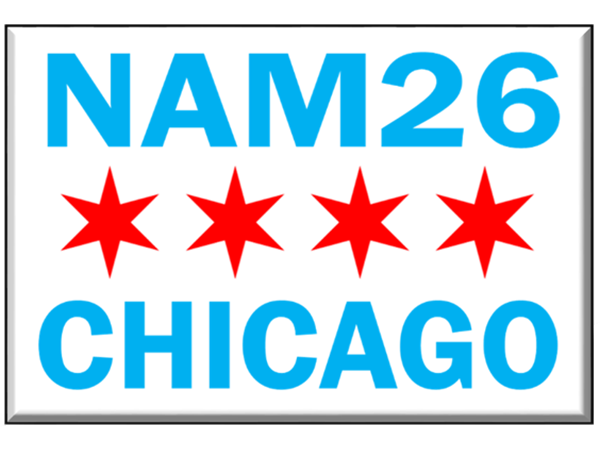 The plaque will be presented during the closing banquet ceremonies at the 2017 NAM in Denver, CO. The recipient will present lectures at most of the affiliated Clubs/Societies during the two-year period covered by this Lectureship. Ahmad Moini is a well-recognized expert in the area of zeolites and catalysis. 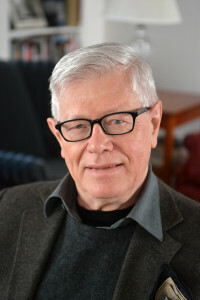 During his career at Mobil, followed by subsequent positions at Engelhard and BASF, his research studies were directed at various aspects of heterogeneous catalysis for chemical transformations and environmental applications, with a particular focus on zeolite synthesis. He has been a co-inventor on more than 45 U.S. patents. Specifically, Ahmad is being recognized for his significant contributions toward the development of the Cu chabazite (Cu-CHA) catalyst for selective catalytic reduction (SCR) of NOx emission from diesel vehicles. Ahmad and his team were able to identify unique properties of Cu-CHA, making it a prospective material solution for NOx control by SCR. This research, in collaboration with the extended BASF team, led to the development of the Cu-CHA catalyst, widely accepted as a breakthrough technology. Today, it is found on millions of diesel vehicles meeting stringent emission standards worldwide. Since its discovery, Ahmad has been instrumental in various aspects of product development, as well as fundamental attributes of the associated zeolite chemistry. The impact of this work is also evident by the exponential increase in the amount of research activities focused on CHA chemistry and catalysis. I am delighted that the North American Catalysis Society has chosen to recognize the contributions of Dr. Ahmad Moini with this lectureship. I speak with the voice of our grateful community in also thanking the management of W.R. Grace & Co. for its continuing support of this lectureship. Published on February 12, 2016 . Posted in Award, News.